The new motorcycle model launches are done at this point and the pace at EICMA is starting to slow down after our busy first two days on the ground in Italy. 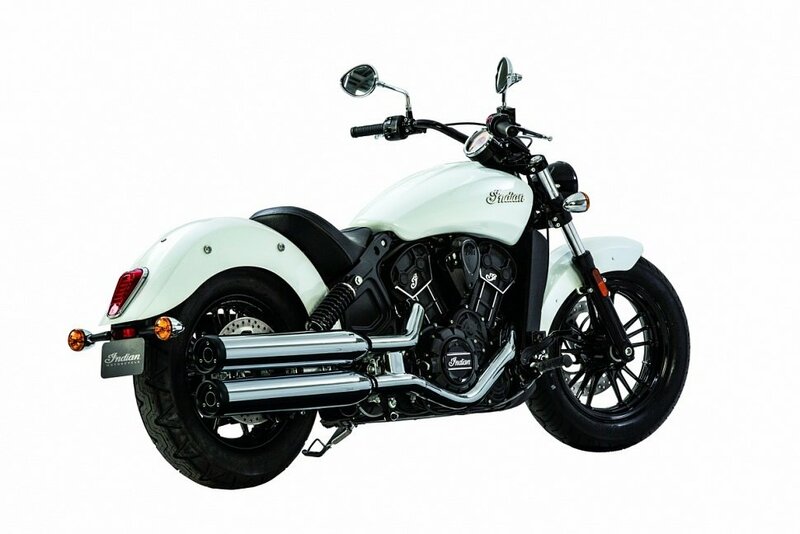 The only bike news Wednesday came from the U.S. companies, Polaris and Harley-Davidson. Lemmy and Lance already covered the new models from Victory and Indian. The Victory Ignition Concept has stirred some really different reactions, and my take on the bike is that it looks suspiciously like a Scout chassis and tank with the Project 156 motor plugged in. They didn't go into too many specifics about power or output, but we expect to get more information in the first half of December. Then we saw the Indian Scout Sixty, their new entry-level bike. They talked about this bike having best-in-class horsepower for the engine size, and I have no reason to doubt that. It's going to cost $8,999 in America. Meanwhile, the Harley-Davidson presentation was a bust. It was the same graphics and colors on the bikes shown at AIMExpo. Nothing new was introduced. They talked about LiveWire finishing up consumer testing in Europe. That will be the end of the worldwide LiveWire tour and now they will take all the customer feedback and determine their next steps. Harley has made no commitments to anything with its electric bike. With the motorcycle presentations done, I had some time to look around to see what other interesting products I could find. The S21 Hypersport is Bridgestone's new performance tire. RevZilla photo. Bridgestone introduced the S21 Hypersport and the W1 wet-weather track tire. The S21 is the company’s new sport tire. They claimed improved cornering and stability, and the big thing is that they say that mileage has been increased by 36 percent, which is pretty interesting. As the name suggests, it replaces the S20 Evo. It's dual-compound, and it actually has the best land-to-sea-ratio (basically, more rubber, less siping) in Bridgestone's lineup. So you've got the maximum amount of rubber on the road for traction in dry conditions, but the tire gets a high silica content for wet-weather traction. The Shark Evo-One replaces the Evoline 3. RevZilla photo. Shark helmets showed off new models. One is called the Evo-One, to replace the Evoline 3. It has a smaller, lighter shell and they made the action on the drop-down sun visor infinitely adjustable, so it will hold its position wherever you put it. Also, you no longer have to push the chinbar back towards your face to lock it in place, which was one of the knocks on the old Evoline. The Shark Spartan is full-carbon construction. RevZilla photo. Another model was the Spartan helmet, only offered in full-carbon construction. It tipped the scales under three pounds in a medium. The side plate of the visor on this helmet has dimples like a golf ball on each side. It actually operates on the same principle as a golf ball, allowing it to move more smoothly through the air. It’s meant to reduce wind noise. The Shark Skwal has LEDs embedded in the front and rear of the helmet. RevZilla photo. Then there is the Skwal. This helmet has LEDs embedded in the crown of the helmet, the chinbar, and the rear. There will be a white and green LED option. They are not transferable, and the lights will not be replaceable. They operate off a rechargeable battery that Shark estimates lasts eight to 10 hours.